Elena Dementieva retired from tennis on Friday in Doha. She won 16 career titles. Dementieva at Wimbledon, 2007. For much of her career Dementieva’s service yips – double faults and powder puffs included – were criticized. She was part of the New York Times’ beautifully-shot “Power Game” feature during this year’s US Open. 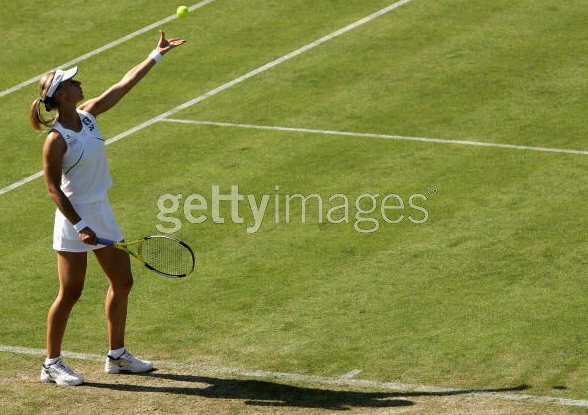 Grass mastery: Many called Elena’s semifinal loss at the 2009 Wimbledon one of the best matches of the decade. Elena also played two doozies at the USO in 2004. In two bizarre back-to-back matches, she would beat Amelie Mauresmo and Jennifer Capriati 7-6 in the third set to reach her second Grand Slam final in three Slams. A picture really is worth 1,00 words. Elena getting ready to battle the long-forgotten Anastasia Myskina in the ’04 French final. Ladies’ choice: The American squad for the Fed Cup final has been named by captain Mary Joe Fernandez and include Bethanie Mattek Sands, Melanie Oudin, Liezel Huber and Coco Vandeweghe. Fernandez is hoping that home-court advantage will help her ladies conquer the mighty Italians next week. 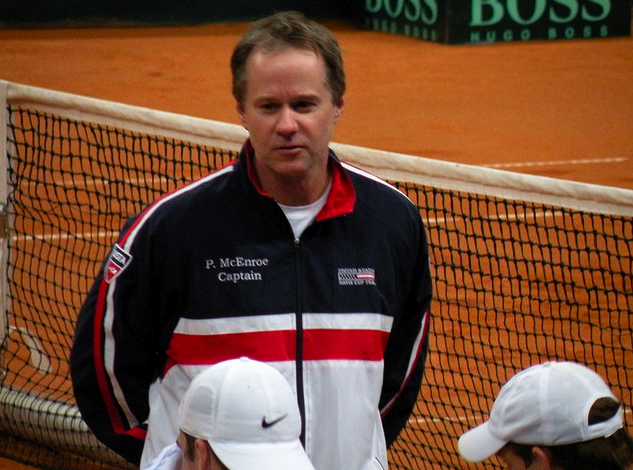 On Wednesday afternoon, the USTA will announce at a media luncheon who has been picked to replace Patrick McEnroe as the U.S. Davis Cup coach. McEnroe, who has coached the American squad since 2002, announced at the year’s US Open that he was stepping down from his position as head coach. 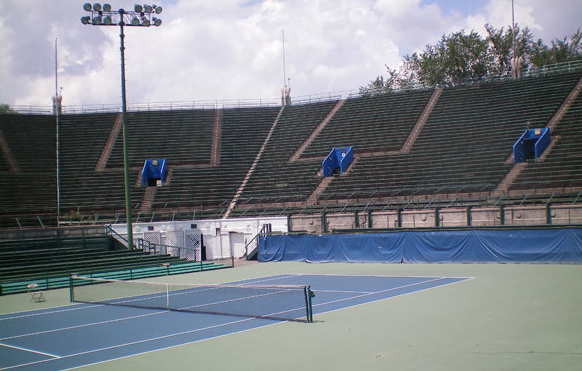 Jim Courier and Todd Martin, both former players for the Davis Cup red, white and blue made it known almost immediately that they were interested in the spot. Jay Berger, whohas worked as a USTA coach as well as helping out with Davis Cup duties under McEnroe, is also rumored to be in the running. Not enough Muster-d: Luck ran out for Austrian wild card (and former world no. 1) Thomas Muster in the opening round at Vienna today. He was taken down in two (hard-fought) sets against countryman and lucky loser Andreas Haider-Maurer. That didn’t stop Argentinean blog FueBuena to make sure that a Muster reel (from past and present) was up on the blog today, featuring a couple of ’90s gems against Sampras and two great points from his loss today. Keep trucking, Mr. 43! short(er) balls: The Bryan Brothers put up this video yesterday from a commercial they were supposedly shooting with ESPN. The theme: a 1970s Doublemint gum spin off. Twins abound! 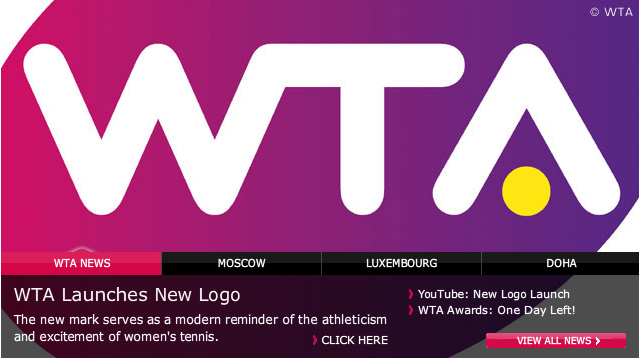 | Some fans are really ticked off about the Tennis Channel ticker. Who knew?! Guess they just want their tennis, old-school. | This idea certainly isn’t ‘old school’: the iBall. OnTheBaseline talks with two young minds that have an idea on how to change ball technology in the modern game. | This should be bright too: Maria Sharapova’s engagement ring. Sounds like Mr. Sharapova is well-trained when it comes to his lady’s taste for expensive ($250,000!) jewelry. | And really, we’d love to Andrea Petkovic become much more than Petkorazzi. 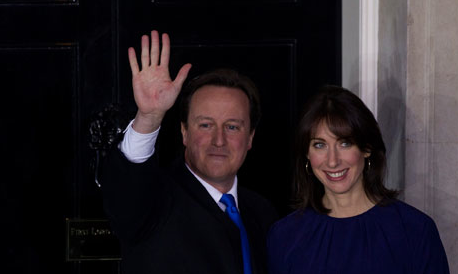 Girl is upbeat and down to earth. Down with the JJ and up with the Petko. Guess we’ll see what happens, no? sunday survey: just kiri-ous… can maria be the real deal? Maria Kirilenko made a furious run to the Moscow final this week, bowing out to Victoria Azarenka 6-3, 6-4 in the deciding match. This year alone, Kirilenko has registered wins over Maria Sharapova, Dinara Safina and Svetlana Kuznetsova in making her way from 58th in the world to her current spot at no. 26th. We’re Kiri-ous: can Maria make the next step? Or will she always be the 20th to 50th ranked danger floater who has the weapons to take out the big guns but can’t be a consistent champ herself?? Radek Stepanek‘s reptilian Alea kit for the fall continues its showcase with this version in the black/orange colorway, appearing at this week’s Kremlin Cup in Moscow. There’s also a hoodie, seen in the gallery below at an autograph session. Posterity’s sake: Do we have readers at this week’s If Stockholm Open? If (hyuk!) so, can we talk shop for a sec? We’re trying to track down a copy of this year’s magazine; if it’s anything like the one with Delpo on the cover, it should be worth a gander. Scan and email, please? Semis: The semis are now set, with Roger Federer facing off against Ivan Ljubicic and Florian Mayer — who upset second seed Robin Soderling — facing Jarkko Nieminen. More info at the tourney site. FYI, Roger played his landmark 900th match in the second round, beating Dent. He’s currently the only active player over 900. 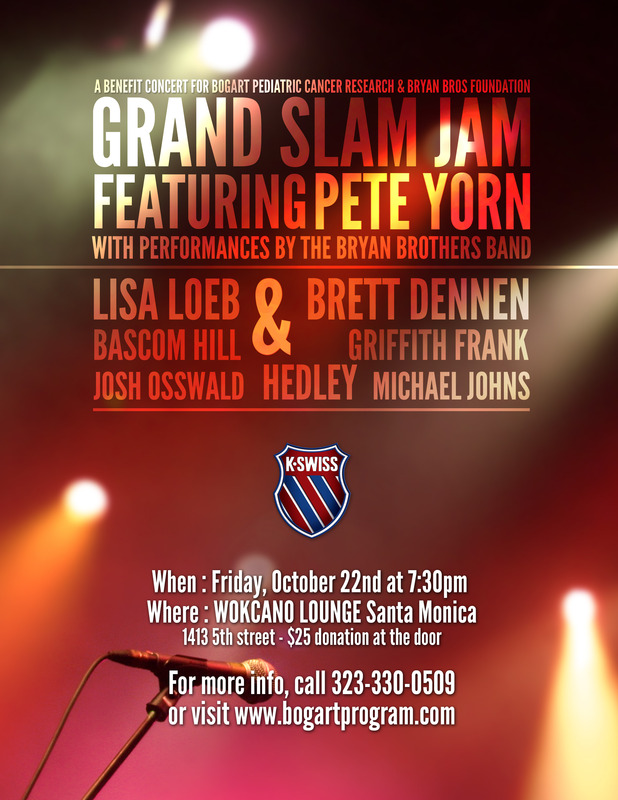 See more deets about the record here. Nike jumps on the latest John McEnroe renaissance by dedicating a line just for this tennis veteran. We saw the pieces first pop up in time for the 2010 US Open, and here he is (pictured above) wearing the polo at this week’s seniors event in Arizona. The on-court attire has a white/red/grey/black palette, and the tees take advantage of McEnroe’s retro (headband/hair) bad boy (expletives) past — although his temperament is still as testy as ever. Our favorite is the Ace tee — the one with just his face — in grey. Buy: Nike John McEnroe Collection Tennis Polo, $55, in grey/red and white/red; see the rest of the John McEnroe Collection. The fogies: French Open champ Michael Chang is back on the Champions Series tour after an achilles tendon injury sidelined him beginning in 2006. At this week’s $150,000 Cancer Treatment Centers of America Tennis Championships at the Surprise Tennis and Racquet Complex (we can breathe while we type, but still — a mouthful! ), Chang won his opening round-robin match against Jimmy Arias and McEnroe won his against Wayne Ferreira. Also in the field are Mark Philippoussis, Aaron Krickstein, Jim Courier, and Jeff Tarango. More: Event goes through this weekend. Schedule and ticket info at the Cancer Treatment Centers of America Championships at Surprise website. Browse: Check out all the goods here. Before or after? After yesterday’s news, everyone was looking back at photos from this past Tuesday’s CFDA Vogue Fashion Fund show at the Chateau Marmont in L.A. (where finalists Joseph Altuzarra (❤ ❤ ❤ ❤), Robert Geller, Pamela Love, Prabal Gurung, Billy Reid, Christian Cota, Moss Lipow, Loden Dager, Gregory Parkinson, and Eddie Borgo showed off their collections) to see whether Maria Sharapova was already wearing an engagement ring from fiance Sasha Vujacic. Alas, no bling. More: View past Cacharel shows at NYMag.com; see the company’s site here.